Last year, Dr. Nav Persaud, a Toronto family physician and researcher at St. Michael’s Hospital, and his colleagues published the results of a re-analysis of the data from a 2010 landmark randomized placebo controlled trial that claimed to demonstrate the efficacy of Diclectin for nausea and vomiting due to pregnancy. The initial study, like many others, was industry-funded. The reanalysis of data presented significant logistical and legal challenges for Persaud and his team because, in Canada, drug manufacturers can prevent public release of trial data under the guise of “confidential business information”. It’s really a wonder that Persaud was able to obtain the clinical trial data from Health Canada at all. When Persaud’s team did finally obtain the data, it was buried within a 9000-page document. It is alarming that industry manipulates intellectual property laws to withhold trial data from the public. When industry funds research, it is in their best interest to frame the results as favourably as possible. Usually, this does not amount to straight-up lying (although there have been studies retracted for falsification of data). If a study finds that a drug makes a difference for patients over a six-month period, but not over a year, then the drug company may decide to only publish data from the first six months. Differences in drugs, as compared with placebos, can also be exaggerated, and data can be manipulated, or “tortured”. Normally, in scientific research, the peer review process can address concerns about methodology, and presentation of results. However, if other scientists cannot access the raw data collected from a trial and the original study protocols (as in the case of protection-of-“confidential business information” policies), to analyze it for themselves, the ability to detect manipulated results is limited. Scientific knowledge production is self-regulated: that is what peer-review strives to accomplish, but confidential business information policies obstruct this process. Photo credit: Max Pixel. 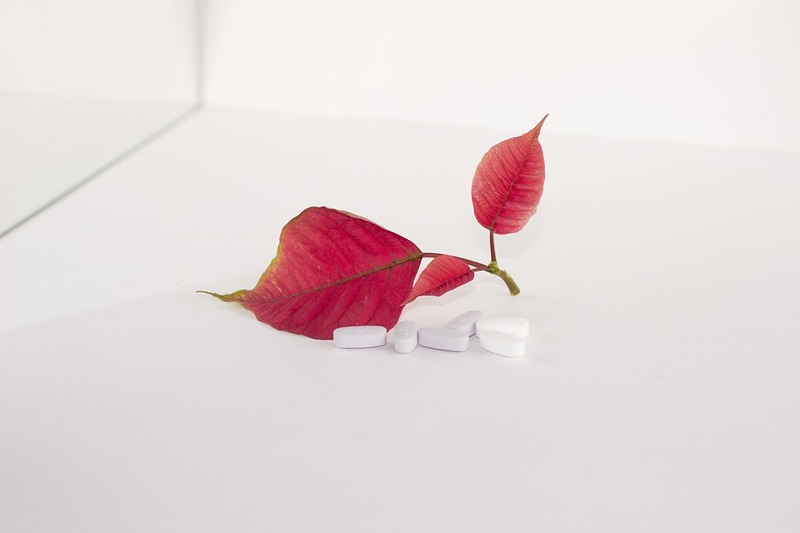 Image description: White pills and a plant with red leaves. In Persaud and colleagues’ data re-analysis, they found that study subjects receiving Diclectin, as compared to the placebo, experienced greater symptomatic relief of nausea and vomiting due to pregnancy by 0.73 points. But when different types of statistical analysis were used to address the problem of missing data, the difference between the drug and placebo was not statistically significant. In fact, the industry-sponsored study, in their original protocol, designated a minimal clinically important difference or “expected difference” of three points. Yet, when their results fell short of this designation, the authors simply did not publish this “cut-off” for clinical importance. Physicians rely on high quality research to develop their clinical guidelines, and policies, which inform their clinical recommendations. The Society of Obstetricians and Gynecologists of Canada clinical practice guideline on “The Management of Nausea and Vomiting of Pregnancy” cites the original 2010 study as evidence for recommending Diclectin as a first-line therapy. In 2017, the journal Canadian Family Physician withdrew its endorsement of these recommendations, and last month the journal published corrections for two articles that recommended Diclectin, citing undisclosed conflicts of interest involving the drug manufacturer, Duchesnay. While it may be true that Diclectin is not “unsafe”, its not being efficacious is important. Physicians anecdotally reporting that some patients respond to Diclectin does not necessarily mean that it is an effective drug. Those patients might be getting better on their own, or they might be placebo-responders. This case demonstrates yet another example of how it is not enough for journals to require authors to disclose conflicts of interest with industry. The exact nature of the conflict is rarely articulated and the disclosure does not obviate the conflict itself. Accuracy of reported trial data is essential. Journals could require that drug companies release trial data if they want their studies published. Just because Health Canada and the FDA (U.S.) do not require the release of trial data, it does not mean that journals shouldn’t require it. Furthermore, physicians could refuse to prescribe new drugs unless trial data has been released. Changes should be made to intellectual property and business laws when it comes to health, so that the public’s best interests are ultimately served. Organizations, like Retraction Watch, and individual scientists, like Persaud, have already begun the hard-work of performing true scientific oversight. Canadian policies should reflect these values. Naila Ramji is a clinical fellow in Maternal-Fetal Medicine at the University of Ottawa, and a practising Canadian Ob/Gyn. She is also currently pursuing an MSc in Bioethics at Columbia University.